Relaxing in a hot tub is a great way to let your worries melt away. Unfortunately, hot tubs can be pretty expensive. 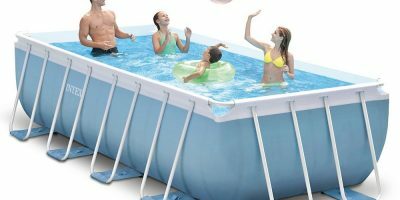 A great solution is the inflatable hot tub. A blow-up spa can be surprisingly comfortable and sturdy. 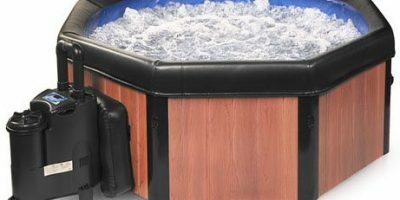 One great inflatable spa worth considering is the Coleman Lay-Z Inflatable Hot Tub Spa (sometimes spelled “Coleman Lazy Spa”). Coleman has been a trusted manufacturer of recreation equipment over a century. Although they specialize in camping gear, they do make a few pools and spas. 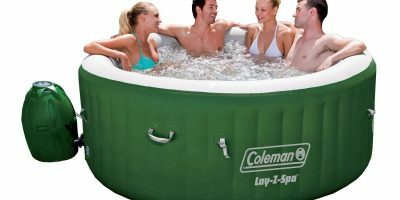 Their Coleman inflatable spa is an affordable way to have that relaxing hot tub experience, backed up by the trustworthy Coleman name. Getting the Coleman Lay-Z inflatable hot tub up and running is easy. You don’t need any tools and the spa inflates itself using a built-in pump. 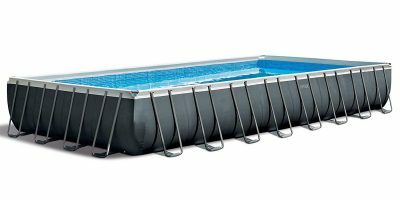 This hot tub is quite sturdy and durable. The material is a TriTech 3-ply reinforced with a polyester mesh core encased in two layers of PVC. The walls feature an I-Beam construction, giving you enough sturdiness to comfortably lean up against the walls without any risk of bending or buckling. There is an air cushion along the floor of the spa, adding to comfort and also aiding in insulation. It takes a while for the water to heat up to the maximum temperature of 104° but then it does a decent job of maintaining that temp, especially when you use the insulated cover when not using the hot tub. Overall, this hot tub is easy to use thanks to the simple digital control panel. The bubble jets give a nice gentle massage but you’ll be disappointed if you’re looking for really hard massage jets. A nice feature of this or any inflatable is that it is portable. You can take it down and pack it up without too much hassle. Size: 77 in. x 28 in. 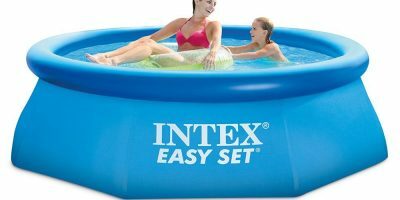 Produced by Bestway, this is one of the cheapest inflatable hot tubs you can find. Like the Coleman, setup is fast and easy. The construction is virtually identical to the Coleman spa, but it’s smaller and can only fit 2-4 people. It has a remote control LED light strip, letting you experience a 7-color underwater light show. This is one of the newer inflatable spas on the market. It fits 4+2 people and features a unique black and white geometric design. The LCD screen lets you control the settings of the 108 featured bubble jets. Owning a hot tub doesn’t have to mean breaking the bank. 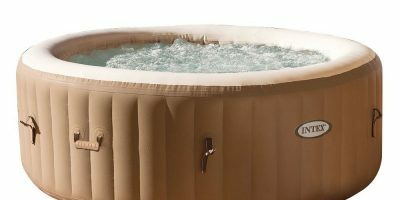 An inflatable like the Coleman Lay-Z spa lets you enjoy the relaxing comfort of a hot tub at an affordable price and with the added convenience of portability.